Before we discuss Karl Ludwig Schmidt’s views on the genre of the canonical gospels, I want to present two parables that I hope will drive home some basic concepts. A review of the recent scholarship on the subject reveals a distressing amount of misunderstanding here. I hope the following illustrations will help clarify two of Schmidt’s fundamental ideas. Bucky hunts down the curator of the museum and asks for a few minutes of his time. “Did you know,” he asks the curator, “that you have classified a duck as a mammal?” The curator is confused, so Bucky drags him back to the exhibit of the platypus. He points at the display case, tapping the glass. “The placard identifies this duck as a mammal!” says Bucky with a frown. “Actually, if I may interrupt,” says the curator, “that isn’t quite correct. Mammals may or may not bear live young. 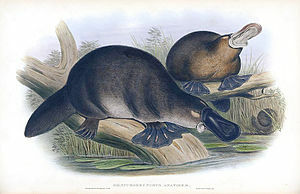 What clearly distinguishes the platypus as a mammal is the fact that the female secretes milk. Mammals have mammary glands. More than that, the DNA evidence is indisputable. They belong to an order of mammalia called monotremes — mammals that lay eggs. “Furthermore, you should know that by definition, all birds have feathers, wings, and two feet. So even if you weren’t sure about the mammalian classification, it cannot be a bird. Knowing where something came from is crucial for understanding what it is and for knowing how it fits within a given classification scheme. Even if it appears to possess one or more defining characteristics of a species, its genome may tell a different tale. Where did Bucky go wrong? First, he mistook superficial features as identifying features. Second, he ignored important contradictory attributes. Of course, he also hadn’t done his homework on the mammalian family tree. And if he’d been up on his reading, he would have known about the DNA evidence. We must learn to distinguish between extraneous features and identifying features. Contradictory features and missing features are just as important as other seemingly important observed features. Beware of confirmation bias. Let’s suppose that Richard Burridge has a younger sister, Becky, who is an art historian. While visiting a small town in the American Midwest she happens upon a local museum. She finds, to her delight, a superb example of a commemorative quilt. Following the panels from left to right, the quilt tells the story of the town: the settlers arriving from the old country, tilling the soil, building the local pottery, raising their families, selling their grain, feeding their cattle. Becky has never seen anything like it. “You mean the quilt?” asks the lady. “Ma’am, it may surprise you to know that I’ve visited Reading, and I’ve seen the replica. Our quilt has some things in common with the Bayeux Tapestry — it’s an object made of fabric that hangs on a wall; it’s a piece of art that we’re proud of; it tells a story. But what you seem to forget is that a tapestry is woven. 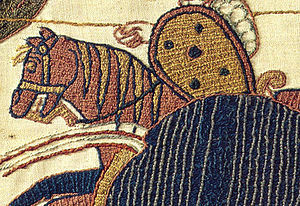 The Bayeux Tapestry was embroidered. So technically, it isn’t actually a tapestry. On the other hand, a quilt is stitched together from swatches of fabric. It is certainly not a tapestry. “And besides that,” she adds, raising her voice slightly, “there’s no shame in calling it folk art. I don’t suppose you have heard of the Quaker Tapestry, have you? It’s also a large, hanging collection of embroidered panels, but it’s the work of a community. Works of art (or literature) created by a group or “folk” — i.e., folk art (or community-generated narratives such as the gospels) — are categorically different from works of high art (or literature) that are created by individuals. Where did Becky go wrong? First, like her brother, she was not aware of the crucial identifying features of a tapestry or, for that matter, a quilt. Second, and more importantly, she had convinced herself that she was looking at a piece of “high art,” which drove her to the erroneous conclusion that there was a level of intentionality, control, and artistic focus that was in fact absent. Further, she mistakenly thought of “folk art” as inferior to “high art.” Finally, she did not fully understand that the quilt, which was the product of a community, could not be compared to a piece of so-called “fine art.” She was trying to compare apples to oranges. What can we learn from this parable? Once again, we need to be aware of identifying features versus extraneous features. Works of art (or literature) created by a group or “folk” — i.e., folk art (or community-generated narratives such as the gospels) — are categorically different from works of high art (or literature) that are created by individuals. The terms high and low art (or high and low literature) do not represent judgments as to their beauty or worth. They are simply terms of art. As we stated above, knowing where something came from and how it came into existence is crucial for understanding what it is and for knowing how it fits within a given classification scheme. What do the parables have to do with Schmidt? As we will see in greater detail in the next installment, Schmidt criticized those who compared the gospels to ancient biographies on several grounds. He notes, for example, that Clyde Weber Votaw (see “The Gospels and Contemporary Biographies” at JSTOR) focused on several extraneous features that seemed to indicate that the gospels fit in the category of Greco-Roman biography while ignoring important, defining characteristics that are missing. Schmidt also painstakingly demonstrated that the gospels are products of a community and belong to the realm of Kleinliteratur (“small” or folk literature), not Hochliteratur (“high” literature). The resulting product and its various attributes are constrained by the community that created and remembered the constituent pieces — viz., the pericopae that comprise the gospels — as well as the overall theological concerns of the community. You can agree or disagree with Schmidt’s conclusions. However, what has happened over the past couple of decades is that scholars have so misunderstood Schmidt that they’re fighting a cartoon caricature of the great form critic. In some cases, they’ve conflated Bultmann’s views with Schmidt’s. In others, they simply don’t seem to have a clue as to what Schmidt was driving at. Next time: Schmidt on The Place of the Gospels in the General History of Literature. 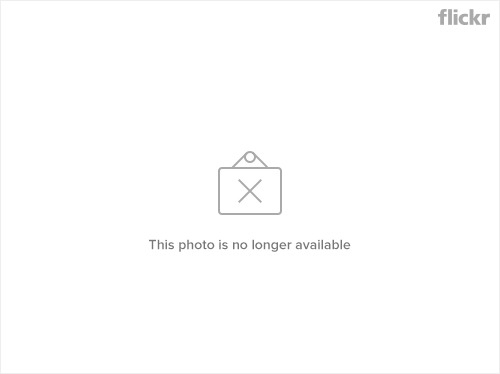 Posted on 2013-03-29 01:02:57 GMT+0000 by Tim Widowfield. This entry was posted in Biblical Studies and tagged Burridge: What Are the Gospels?, Genre of the Gospels, Karl Ludwig Schmidt. Bookmark the permalink. I know you’ll roll your eyes at a comment about the platypus rather than Schmidt, but I do find John Gould’s platypuses somewhat unnatural. I can forgive him, of course, since if you are lucky enough to ever see them in the wild they will never expose themselves long enough for anyone to make a sketch. They look like beavers dressed up for Halloween, don’t they?